The objective of the Little League shall be to implant in the children of the community the ideals of good sportsmanship, honesty, loyalty, courage, and respect for authority, so that they may be well adjusted, stronger and happier children. Keeping our players safe is our top priority. With that in mind, Haddam Little League is sponsoring this online concussion protocol training course for all Managers, Coaches, Umpires and other volunteers. We also encourage parents, guardians and family members to review these materials. This training is mandatory for all Managers, Coaches & Umpires and must be completed prior to Opening Day. 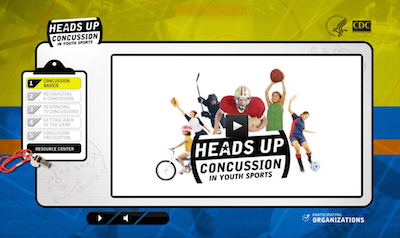 By taking this free, online course and using what you learn, you will be well positioned to recognize a potential concussion, the actions you need to take to protect our players. Your actions will help create a safe environment for our young athletes so that they can stay healthy, active, and thrive - both on and off the playing field. Once you complete the training and quiz, you can print out a certificate. Please provide this certificate to your Haddam Little League Director, prior to Opening Day. Simply click on the image above to begin your training video. If the link above does not work, you can also CLICK HERE. If you have any questions or suggestions, please contact a member of the HLL Board.